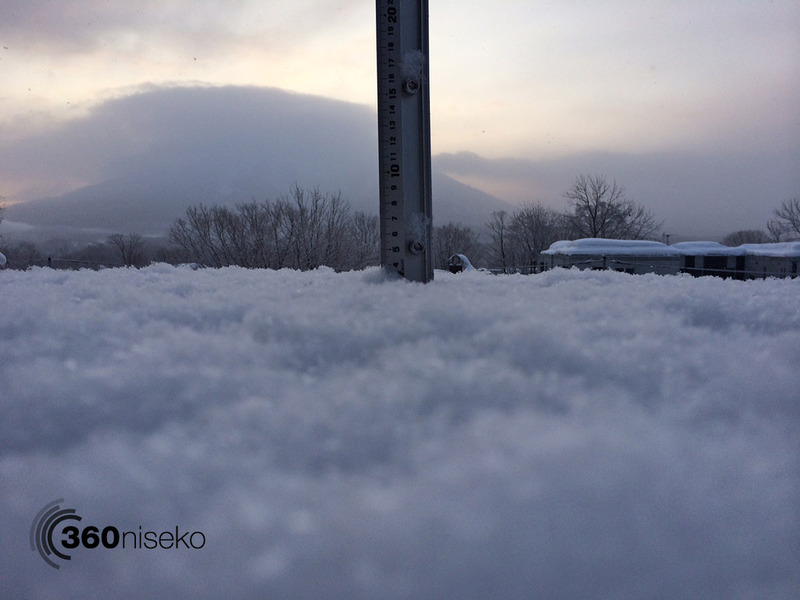 *3.5cm of fresh snow has fallen in the last 24hrs in Hirafu Village. At 7:15 today the temperature was -8°C. A calm morning in Hirafu with large flakes slowly falling down. After days of strong winds were are happy to report that the wind has finally dropped. Chances are good that the upper lifts will start running this morning – conditions will be fantastic higher up on the mountain.